Superb quaility for outstanding performance! 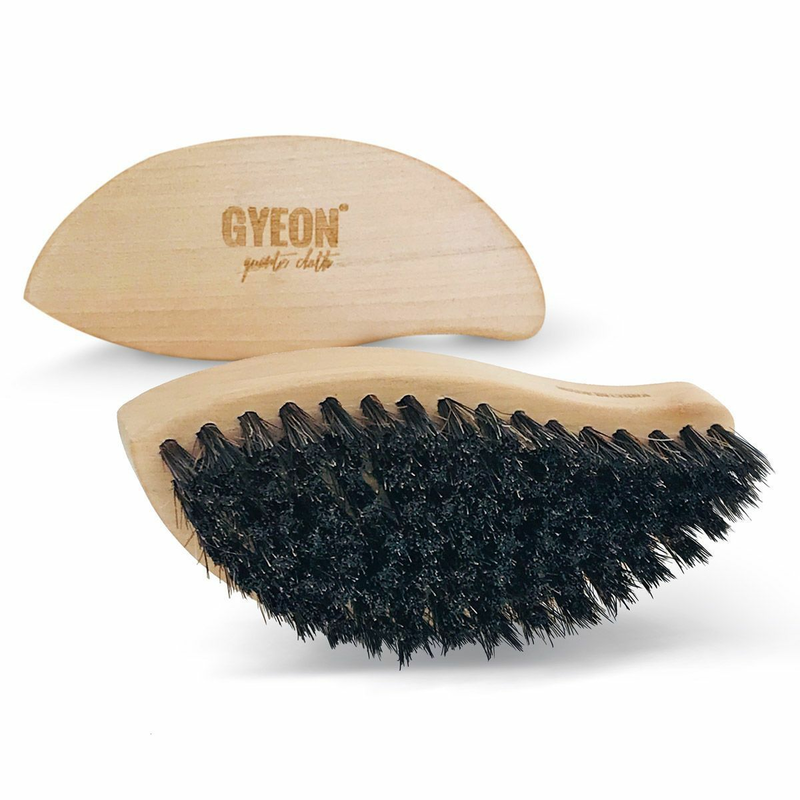 Gentle horse hair, natural wooden handle and an ergonomic shape combined in the Gyeon Q²M LeatherBrush to offer you safe and comfortable leather maintenance. The Q²M LeatherBrush is designed to be as safe and effective as possible on all types of leather. The natural horesehair brush removes dirt effectively from the structure of the upholstery. The ergonomic wooden handle has rounded edges to avoid any damage and provide good grip even while it gets wet.